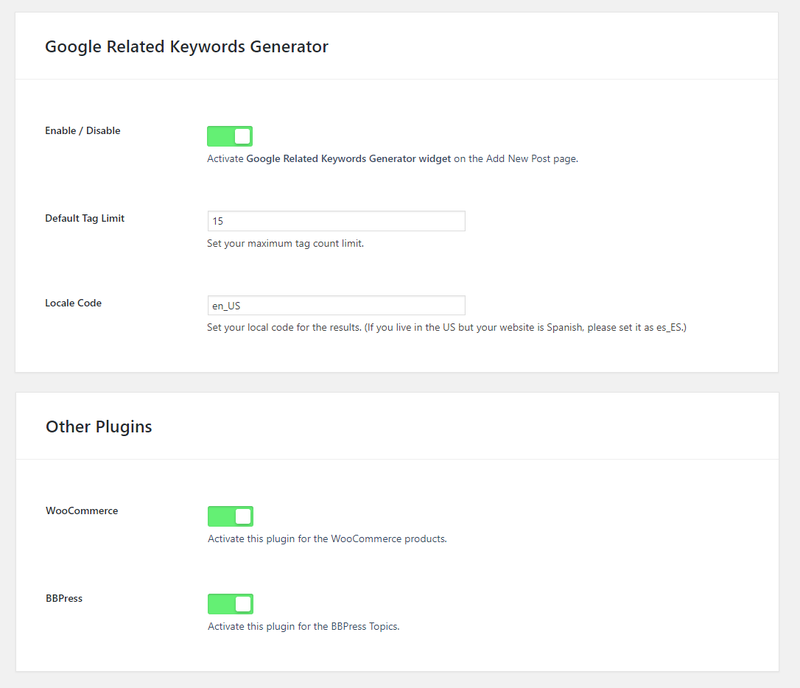 This plugin creates the most searched keywords on Google. Get keyword ideas with the Google Related Keywords Generator and reach the right customers with the right keywords. Works with the Google Suggest Relevance API and 100% real result guarantee. Your SEO keywords are the key words and phrases in your web content that make it possible for people to find your site via search engines. A website that is well optimized for search engines “speaks the same language” as its potential visitor base with keywords for SEO that help connect searchers to your site. Keywords are one of the main elements of SEO. In other words, you need to know how people are looking for the products, services or information that you offer, in order to make it easy for them to find you—otherwise, they’ll land on one of the many other pages in the Google results. Implementing keyword SEO will help your site rank above your competitors. Arabic, Chinese, Danish, Dutch, English, Finnish, French, German, Italian, Japanese, Korean, Norwegian, Polish, Portuguese, Russian, Spanish, Swedish and Turkish. Plugin works with all the themes and plugins. You just need to activate the plugin and that it. This plugin is quite fast and will not strain your site. All these settings can be done with one click!